This is the lifting equipment used in 1931. 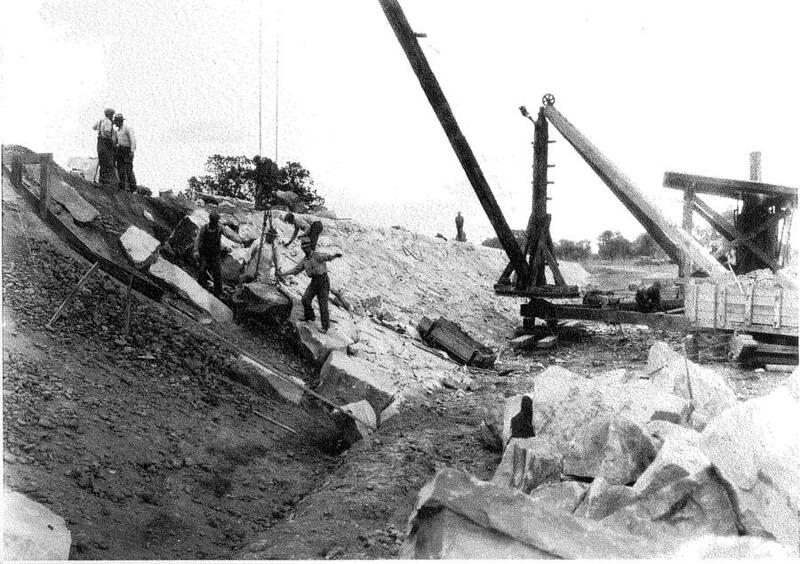 Note what appears to be a steam-powered lifting set-up in this photo taken of the construction of the Pymatuning Dam. The man-made reservoir that supplies water for the Shenango and Beaver Valleys also acts as flood control and is a very popular recreational site in the northwest corner of Pennsylvania. Originally completed in 1932 it is now a state historical landmark. 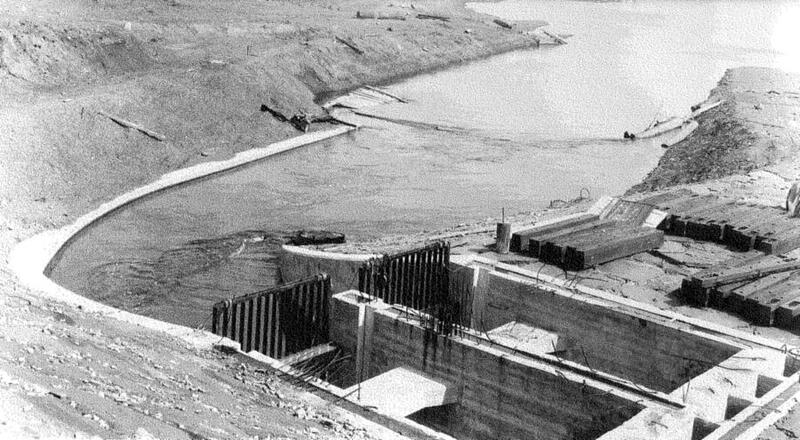 Looking back at original construction photos of the Pymatuning Dam provided by Linda Armstrong environmental education specialist of the reservoir you can see a true contrast between the lifting equipment used then and what Clearwater Construction is using present day to work on the restoration of the original gate house and the surrounding rock you see being laid in the old photo. 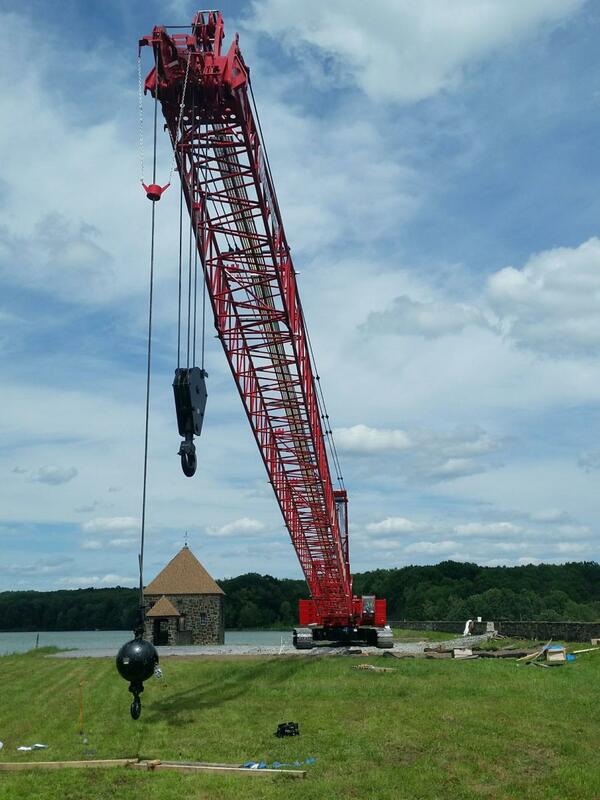 Gary Gorski, CEO of Clearwater Construction, approached Gabe Lash of Stephenson Equipment about acquiring the Manitowoc MLC165 for the Pymatuning job. Clearwater Construction is a family-owned contractor that performs public work contracts over the entire state of Pennsylvania. It was founded in 2003, and has 175 employees. In addition to construction, they offer in-house design services and are able to self perform nearly 100 percent of any project from design to construction. 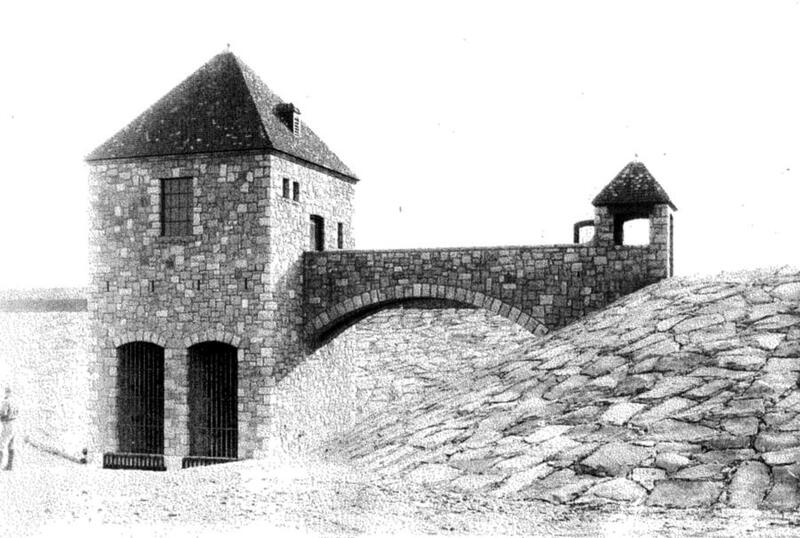 The project at the reservoir includes the restoration of the original gatehouse and adding water control gates. The project will see the replacement of the original gates and the addition of several more gates, the additional gates will allow for downstream water temperature control. To allow Clearwater to dewater the area around the gatehouse they will be using the MLC165 to set a cellular coffer dam. Once dewatered the MLC165 will assist in the task of replacing and adding the gates and the restoration of the gatehouse. 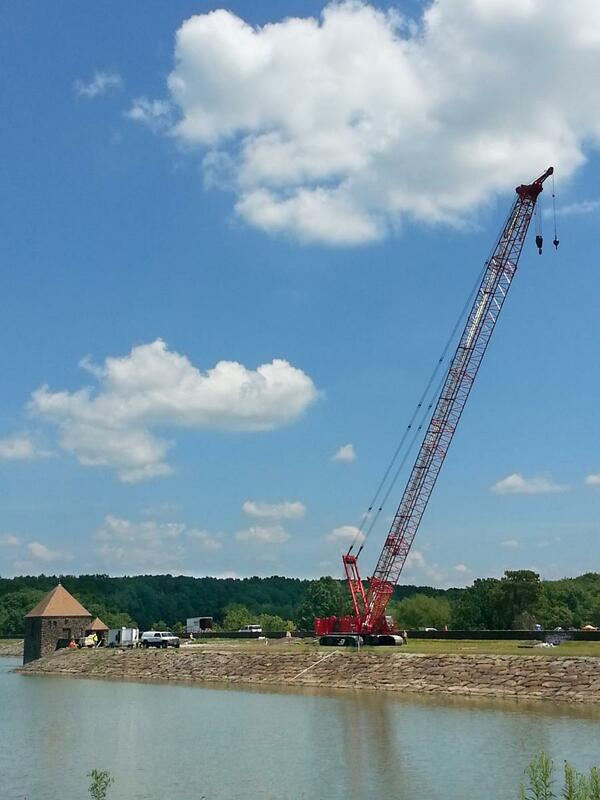 For more information, visit www.clearwaterconstruction.com/, www.stephensonequipment.com and www.dcnr.state.pa.us/stateparks/findapark/pymatuning/.